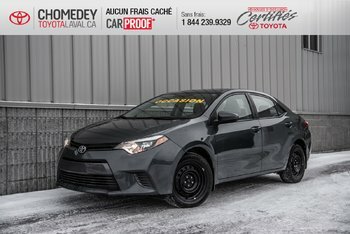 Pourquoi acheter toute autre marque quand on peut profiter de la fiabilité de Toyota !!! 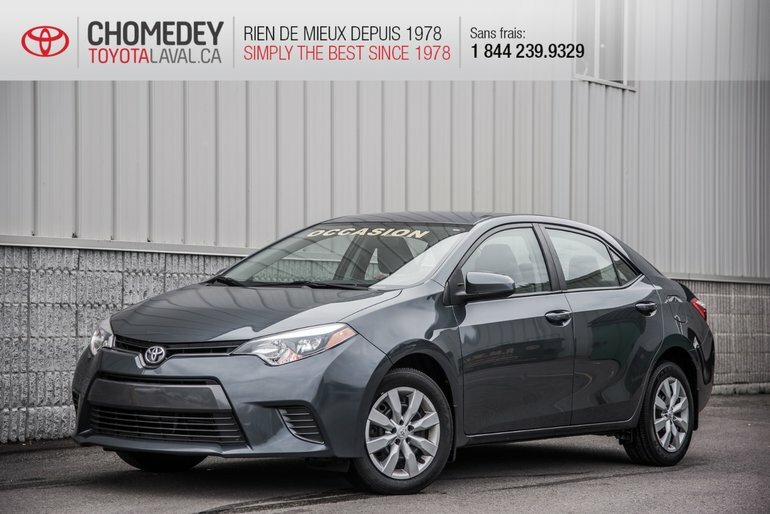 40 YEARS OF EXCELLENCE IN CUSTOMER SERVICE, OUR HIGH QUALITY STANDARDS, THE BEST QUALITY/PRICE, AND OUR NO PRESSURE APPROACH, MAKES CHOMEDEY TOYOTA A SURE BET FOR THE PURCHASE OF YOUR NEXT VEHICLE. 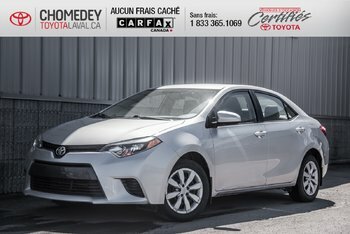 Why buy any other brand when you can enjoy the incredible reliability of a Toyota!! 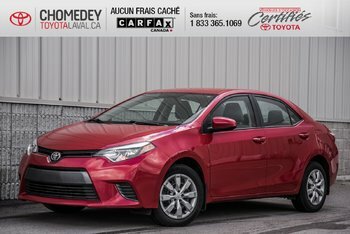 Ce véhicule Toyota Corolla -LE AUTOMATIQUE 2015 vous intéresse?